The design of the Main Guest House is inspired by the Alpine farms and performed by the French design company Cote Deco. The rooms are finished only with natural materials: marble, plaster, oak, northern fir and larch. On the 2nd floor of the building there are 7 spacey guest rooms. Each room is designed in burgundy, champagne or chocolate colors. 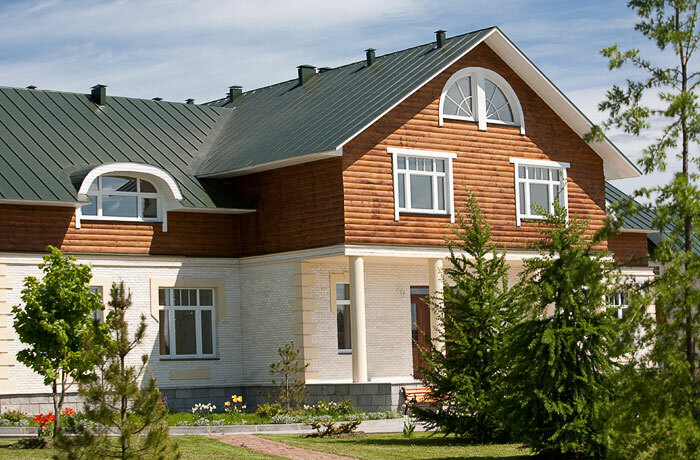 - four bedrooms with mezzanine: ”Mezhev” and “Edelweiss”. 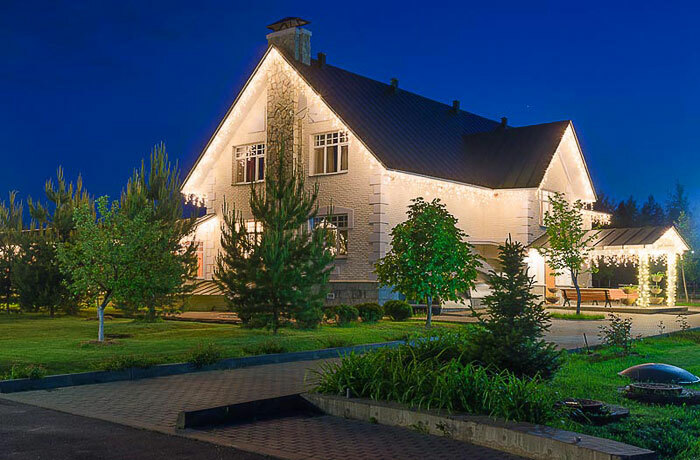 Small Guest House is connected to the Main Farmer House via the covered gallery that allows the guests to comfortably use all the facilities of the Main Guest House: lunch hall, bar, cinema hall, swimming pool and sauna. There are 7 spacy guest rooms on the two floors of the Small Guest House. - aromatic teas and sweets. - management of private horses.